Welcome to Issue 4 of Materials Chemistry Frontiers in 2019! The latest MaterChemFront issue 4 is published online. The front cover story, 4,5-Diaminophthalimides: highly efficient solid-state fluorophores and turn-on type fluorescent probes for hydrazine is contributed by Masaki Shimizu, Tomokazu Tamagawa and Kenta Nishimura. The inside cover features a story on Rational design and facile preparation of maleimide-based functional materials for imaging and optoelectronic applications by Ze Yang, Yun Guo, Shu-Lun Ai, Su-Xiao Wang, Jin-Zhi Zhang, Yue-Xing Zhang, Qi-Chao Zou and Hang-Xing Wang. Welcome to Issue 3 of Materials Chemistry Frontiers in 2019! The latest MaterChemFront issue 3 is published online. The front cover story, High performance solution-processed organic yellow light-emitting devices and fluoride ion sensors based on a versatile phosphorescent Ir(III) complex is contributed by Xiaolong Yang, Zhao Feng, Jingshuang Dang, Yuanhui Sun, Guijiang Zhou and Wai-Yeung Wong. The inside cover features a story on β-Cyclodextrin based pH and thermo-responsive biopolymeric hydrogel as a dual drug carrier by Arpita Roy, Priti Prasanna Maity, Anirbandeep Bose, Santanu Dhara and Sagar Pal. Materials Chemistry Frontiers is delighted to share with you the HOT articles of January 2019! You can access these publications for free till 30th March 2019 by logging into your free Royal Society of Chemistry publishing personal account (http://pubs.rsc.org). Materials Chemistry Frontiers is delighted to welcome Dr Emilie Ringe of University of Cambridge to the Editorial Board of the journal! 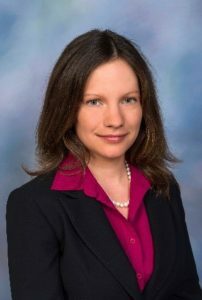 Emilie Ringe earned her Ph.D. in chemistry and materials science from Northwestern University in 2012. 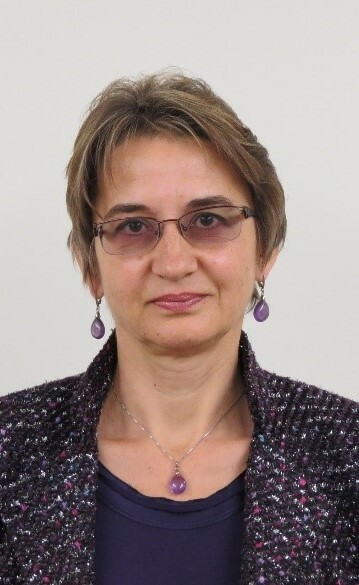 She became the Gott Research Fellow at Trinity Hall as well as a Newton International Research Fellow (Royal Society) in the Electron Microscopy group in the Materials Science and Metallurgy Department at the University of Cambridge, UK. In 2014, she was hired as an assistant professor at Rice University, where she established the Electron Microscopy Center and her research in Earth-abundant and multi metallic plasmonic nanoparticles. In 2018, she moved the University of Cambridge as a lecturer, where she received an ERC Starting grant (1.6M Euros) to pursue her studies of Earth-abundant plasmonics. She has been elected fellow of Gonville & Caius College, and is an associate member of the Royal Society of Chemistry. Her research focuses on multi-scale, multi-dimensional imaging of natural and synthetic materials. Dr Ringe uses correlative, multi-scale approaches, based mainly on electron and light microscopy, to understand how nano- and atomic-scale features affect the bulk optical and electronic properties of crystals. Welcome to Issue 2 of Materials Chemistry Frontiers in 2019! Welcome to issue 2 of Materials Chemistry Frontiers for 2019 ! The latest MaterChemFront issue is published online now. The front cover story, Simple and sensitive colorimetric detection of a trace amount of 2,4,6-trinitrotoluene (TNT) with QD multilayer-modified microchannel assays, is contributed by Tao Hu, Wen Sang, Ke Chen, Hongxi Gu, Zhonghua Ni and Shaoqin Liu . The inside cover features a story on Stimuli-responsive perallyloxycucurbituril-based nanoparticles for selective drug delivery in melanoma cells by Qian Cheng, Shengke Li, Chen Sun, Ludan Yue and Ruibing Wang.